Travel nursing will look great on your resume and here is why. By the time you qualify to take a travel nursing job you will have a fair amount of nursing experience anyway. 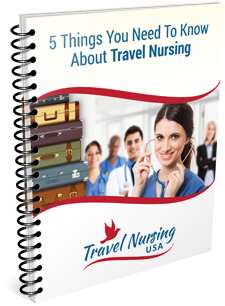 Adding travel nursing to that existing work history will do nothing but enhance your attractiveness to nurse employers. Think about it. As a travel nurse you automatically show that you are someone who is adaptable and can work under pressure and in new surroundings. These are highly attractive qualities to have and the more travel nursing assignments you have taken, the stronger the impression. Most employers will also know that a travel nurse has likely been slotted into other departments and will have a bit of a wider range of skills then someone who has worked in the same specialty over and over. Flexibility, adaptable, breadth of experience…..these are all traits one would ascribe to a successful travel nurse. In my opinion, that is just what you want your resume to reflect. If you need help on your nursing resume here is a good resource.